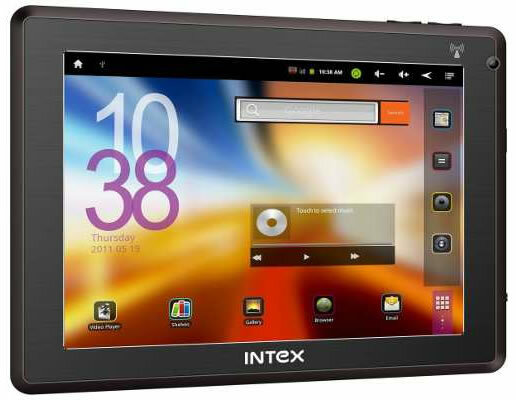 Intex technologies is the latest entrant into the Android tablet race in India. Intex known for itâ€™s low cost mobile phones launched an Android tablet today in India at a price of Rs. 11900. The tablet is named as i-Tab and it is the first tablet from Intex. Intex i-Tab is powered by a 1GHz cortex A8 processor and features 8 inch capacitive display and runs on Android 2.3 Gingervread. It has 512MB RAM and an internal memory of 8 GB and expandable up to 32GB. 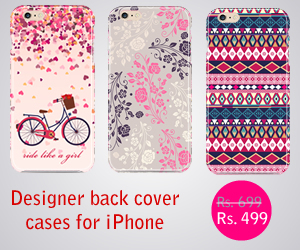 it is powered by a 5000mAh battery to give 5-6 hours of battery life. The tablet has an in-built Wi-fi support but no 3G, but through Intex 3g data card one can access 3G on this device. Other features include front facing camera, 3.5mm audio jack and a built-in mike for video calls and weighs about 475 grams. As an introductory offer Intex is giving a 3G card, a LAN adapter, leather cover and Reebok sunglasses free along with the tablet.